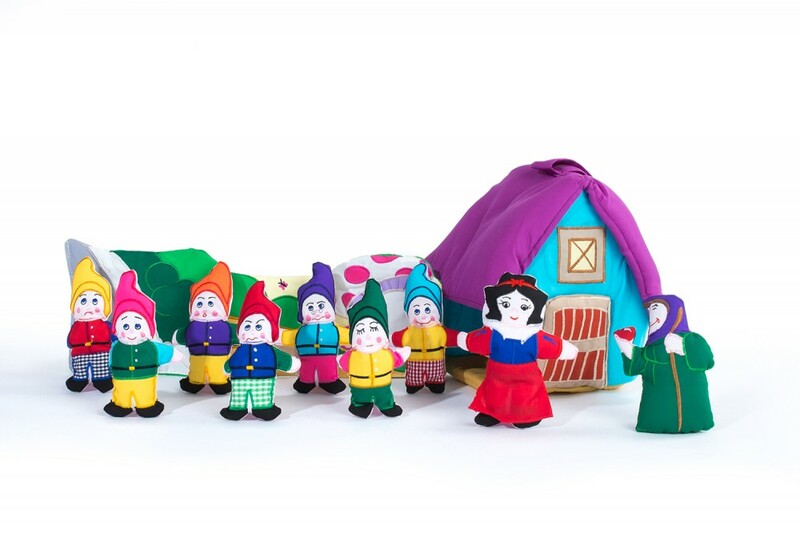 We love this Snow White and the 7 Dwarfs playhouse with all the characters from this lovely story. 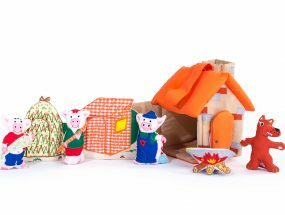 The 7 dwarfs all have different facial expressions to help you with their individual names and together with Snow White and the Wicked Stepmother Witch they are all finger puppets to make it such a fun way to act out this Fairy Tale. 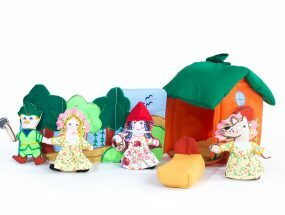 Another new addition to our collection this Snow White and the 7 Dwarfs Playhouse will give hours of imaginative fun acting out this popular Fairy Tale. The house has a little front door to go in and out of and the side opens up completely to attach the scenery panel to give the whole thing more depth to play. 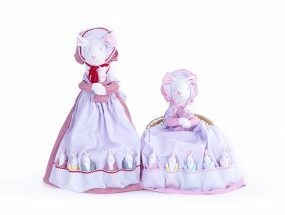 The house measures 18cm tall by 16cm wide.